The government has gotten into the food app game. No, this isn’t some NSA attempt to keep an eye on your pizza orders. Instead, the US Department of Agriculture is hoping a new app will help people reduce waste by providing quick access to information about food spoilage. 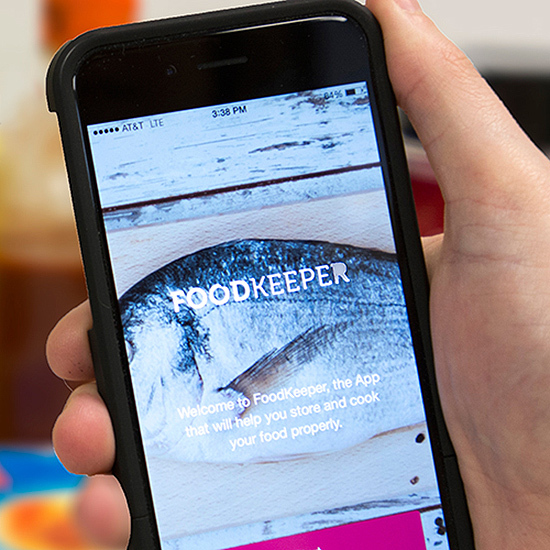 Available on both iOS and Android, FoodKeeper describes itself as being able to “help consumers use food while at peak quality and reduce waste.” The app provides storage advice for more than 400 food items as well as cooking tips and a portal to submit questions. It even offers calendar integration, allowing users to enter the dates they bought products and be notified when they are in danger of going bad (though First We Feast said this feature is “clunky and needs refinement”). Unfortunately, just adding an app to your phone isn’t going to prevent you from wasting 36 pounds of food. But if you give it a try, hopefully it can at least eliminate the need to take a walk from the refrigerator to your computer to find out how long peanut butter lasts in the fridge.